Volkswagen's "four-door coupe," the CC, has fulfilled its purpose in the automaker's lineup--adding more intrigue, fashion sense, and interest, as well as more luxury, above the more ordinary Passat, while not pushing quite (but almost) into luxury pricing territory. And for 2013, the CC, which roughly parallels the Passat sedan but is more daring in its design and packaging, gets a mid-cycle refresh, with somewhat redrawn details in front and in back, along with new LED lights, altogether adding some new visual interest. Add a few subtle interior improvements, plus a rejiggered three-person backseat (taking the place of the fashionable two-position one), and you pretty much have the extent of the changes versus 2012. 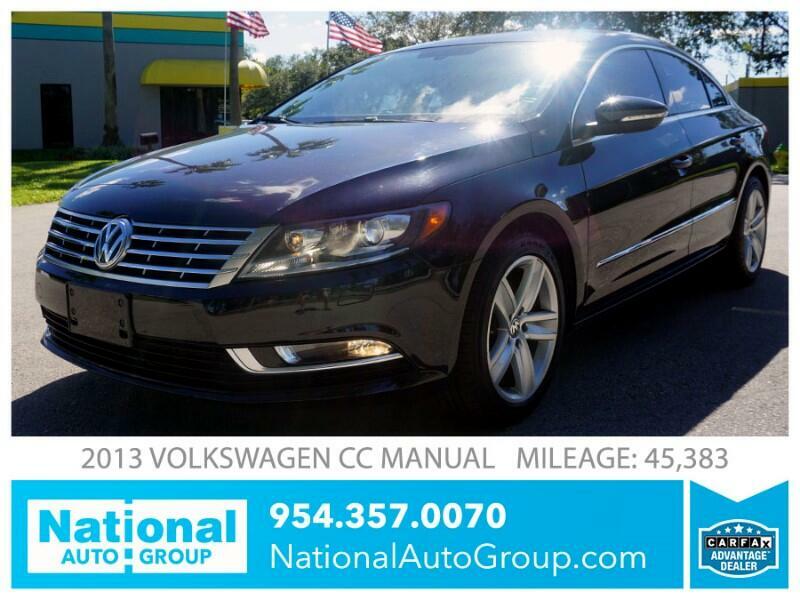 Volkswagen calls the CC a four-door coupe, and if you stand back and see this model's profile in person, it's easy to understand why. With a roofline that's positioned a bit back compared to most sedans--in a slow arc--plus a rising beltline and sheetmetal that serves to emphasize the rear wheelwells, it has proportions that hint 'rear-wheel-drive sport sedan' to some (and nod to the Mercedes-Benz CLS and Audi A7, among others), even though it's a front-driver.